Great work and interesting concept. This is awesome, my new favorite theme. Souldier, I had the same problem, you need to download objectmedia from Stardock Central. Looks Great...I have object media installed but the play buttons do not work. I have ObjectMedia working in my toolbar but it wont work on my desktop. Can anyone help? Here is how I see this working. 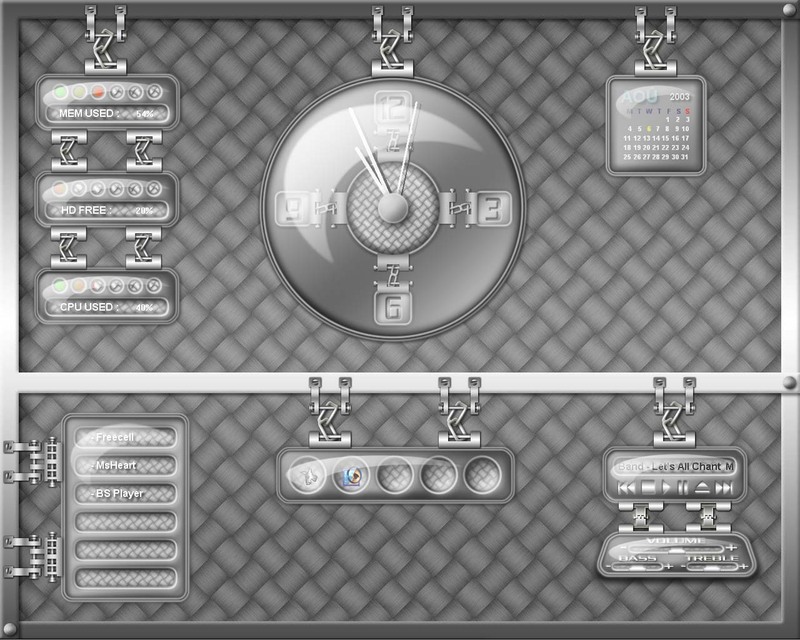 For me to load my computer and see the big buttons and clocks and calenders are really cool... Why? because it is like this, everybodies desktop is a mess, I have 1000 icons all over my desktop, but most of the time I may only need to use my email or pull a quick media file. If the links were more customizable to the user, I.e. me, this would be trully inovative and practicle. And the center all important button would need to be the users regular desktop. Meaning playtime over and now get back to the regular way of using his or her computer. And this would give the effect of having two desktops with potentially two diff backgrounds. Let me know if there is something like this already or you guys and gals are working on it. So far this is good stuff, but the only thing I would suggest again is the practicality of it all. How do i even make this work?